Blog post revisiting Jack Tworkov's 1950 essay "The Wandering Soutine." 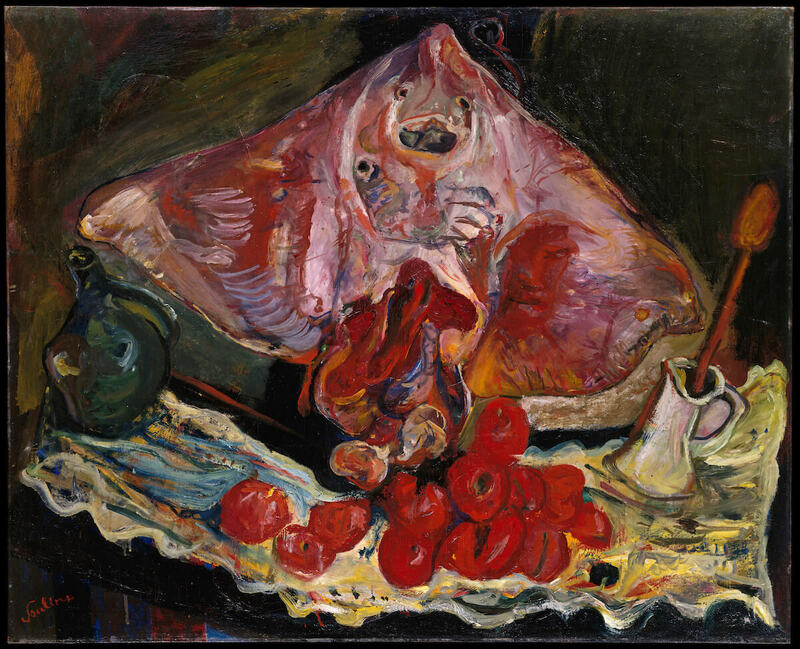 Chaim Soutine: Flesh is on view at the Jewish Museum, New York through September 16, 2018. Tworkov writes: "Soutine derives an immediate advantage by painting from life; because his motive is settled in advance, he does not have to tease it out in the process of painting. It gives him a sure footing and it sets free his energies for a full and uninterrupted flow into his painting. The composition is not a plan, a previous arrangement into which the objects are squeezed. It is rather the unpremeditated form the picture takes as a result of the struggle to express his motive. But the artist’s attitude toward the commonplace things that fill his picture—people, fowl, landscape—is not a simple one. It assumes that the relation between the subject (the painter) and the object is not fixed, but that the object, the more deeply it is experienced, changes, changing also the attitude of the painter towards the object. And it assumes that this process goes on continually throughout the duration of the creative act. The picture does not refer to the artist at the beginning or at the end of the process, but refers to the whole sequence of relative changes that took place. Hence the fluidity of the image, the unpredictability of its outline, the “shake”: and in a flash it explains why Soutine’s subjects, in spite of violent distortions, have such intense reality." Edited by artist Brett Baker, Painters' Table highlights writing from the painting blogosphere as it is published and serves as a platform for exploring blogs that focus primarily on the subject of painting.